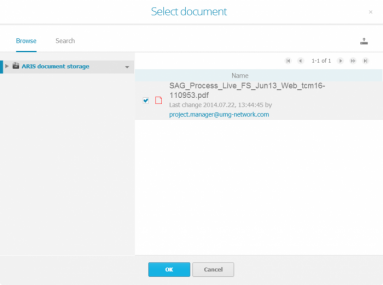 In my post today I will show you how we improved document handling in Process Live. In our previous version, it was rather exhausting to upload a document in order to link it with a process object. Today, it is much easier with the help of a new upload wizard for documents in the Design thin client. You now have the option to easily open document links in the portal view. This enables Viewers to quickly access additional documents that are stored in the internal ARIS Document Storage or that are linked in other Document Management Systems. Let’s see how you can easily create such a document link. Click "Upload" to upload a file from your computer. 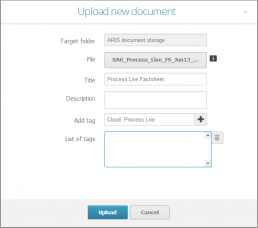 As soon as the uploading process is finished, you find the document in the ARIS document storage list. 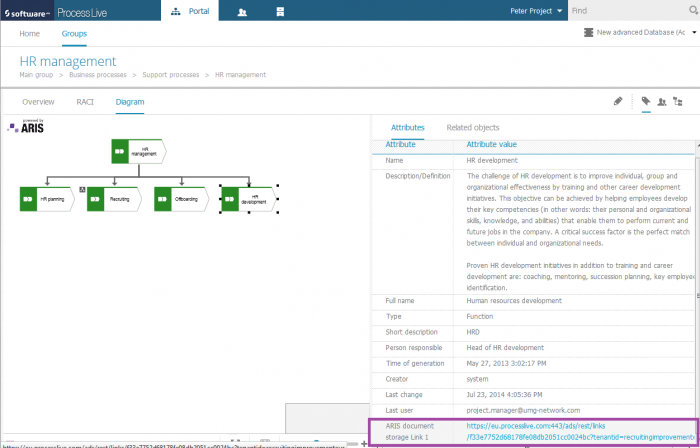 Now we open a value-added chain diagram to assign the document to a process step. Click on “edit” to add further attributes. Select the relevant object and click "More attributes". Confirm your selection with “OK”. Select the document and confirm your selection with “ok”. Save your changes and return to the portal view. 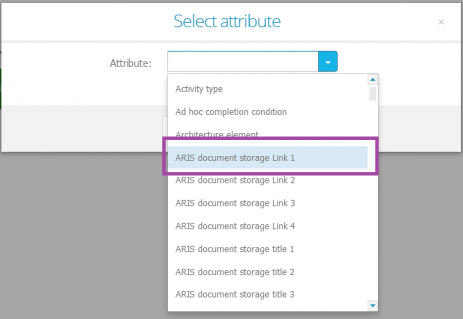 Viewers and Designers can now select the object in the portal view and click on the link to quickly access documents that are stored in the internal ARIS Document Storage. Now you see how easy it is to upload a document in Process Live 9.6 and to make it available in the portal view for Viewers and Designers. 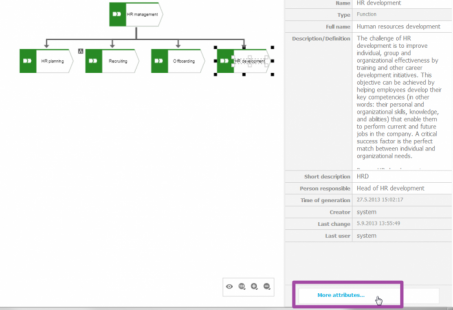 In my next blog post you will find out how we improved our reporting functionalities in Process Live 9.6.